The are a couple of exceptions to every rule, and… I will still state that we are all pretty much the same. We can all find ourselves caught up in our success; in greed; in lust (or what we might think at the time is love); or in our arrogance and end up doing things that under other circumstances we would advise other people not to do. My case in point is Bradley Wiggins. He is arguably Britain’s most famous professional cyclist. He won the Tour de France; he is an Olympic Gold Medal winner; and he is the current world cycling hour record holder, among other things! Apparently he does not have a friend or mentor who cares enough about him to be brutally honest with him. In short: professional cycling has very strict rules about what drugs a participant can and cannot take, both in and out of season. Granted, many people feel that, as in many sports, doping is rampant in spite of the rigid rules, and that’s another story. Some drugs that are normally banned can be taken legally IF the cyclist gets a TUE, or a Therapeutic Use Exception. Many cyclists have gotten a TUE for something called Corticoids, a type of steroid often used for allergies. Some claim that this is nothing but legal doping, and again that’s another story. 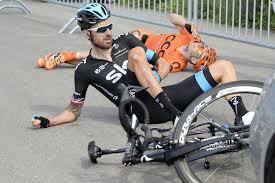 Bradley Wiggins, and Team Sky stated loudly and clearly they were leading the way in ‘Clean Cycling’ and showing that a clean cyclist could win the Tour De France. In his autobiography he stated that other than immunizations when he was young, he had never had an injection. NEVER. So…his whole career and the whole theme of Team Sky is clean cycling, no needles, and transparency. Get it? Now… the hacker group Fancy Bears gets into the data and shows the world that Bradley Wiggins had 3 injections, one just before the 2012 Tour De France (which he won). He did have a TUE, so he had every legal right to take that steroid injection. HOWEVER… remember that he stated in his autobiography that he NEVER had ANY injections. So now the news is out that he did in fact have injections. What do I hope I would do??? Bradley Wiggins gets on the news, sticks with his story and denies having sports injections. EVER! Even though everyone can see for themselves, right there in black and white, he did indeed get 3 steroid injections! Huh? Now I learned when I was a young man that it’s one thing to do or say something stupid… and something else completely to then go ahead and try to cover up that mistake. The person who covers up the mistakes ALWAYS gets in more trouble than the person who did not cover it up. Don’t ask me how I know that. We all make lots of mistakes (or if we are not willing to admit that, we at least know lots of other people who make lots of mistakes) and we end up paying for most of them in one way or another. However some of us, for some reason, cannot admit some of those mistakes, so we deny them and try to cover them up. That is when the word disgraced comes up. We, people in general, can almost always get over the mistakes of others. What we cannot get over is being lied to. We trust the people we care about, our heroes in particular, to tell us the truth, and when they lie to us we feel betrayed. We are all vulnerable to falling into this trap. We all have egos; they can be pretty fragile, and we can end up lying to keep that ego intact. No one who finds him/herself where Bradley Wiggins finds himself ever thought they would end up there. We all believe that we would act differently, after all that is how we justify feeling so hurt. “I would never…” And yet A LOT of people end up lying about their mistakes. So what can we do to prevent this from ever happening to us? We need to already have a friend or mentor who cares enough about us to be brutally honest. That person would either have told me to be honest in my autobiography, as long as I was not so wrapped up in my ego that I allowed them to read it before publishing it. I’m in the clear. They would have told me to revise my autobiography, admit that I omitted those injections, and tell the truth. I’m in the clear. They would have told me to admit my injections and TUE’s as soon as the data breach was public. I’m not quite in the clear, and I made a mistake. For the most part we forgive our hero’s mistakes. Eventually I’ll be in the clear. If you do not have that kind of friend/mentor AND talk to them/get their advice regularly… find one OR roll the dice!